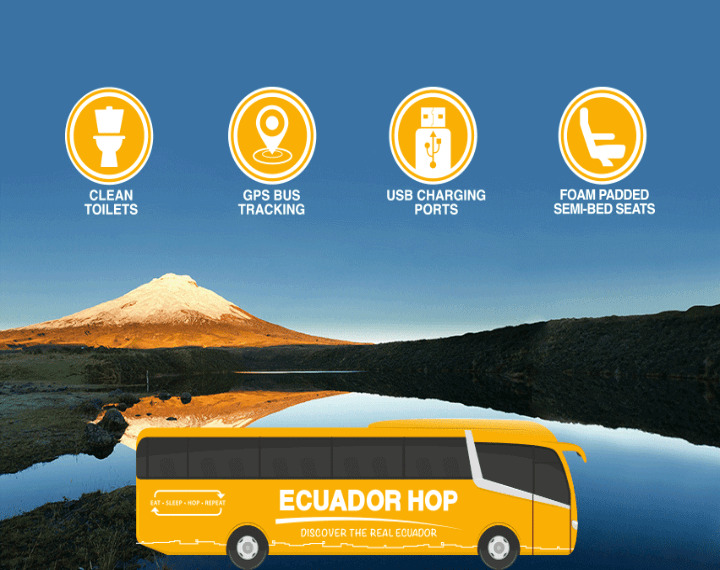 Ecuador Hop - The Best Way To Discover The Real Ecuador! "Wish they were in every country!" "Best buses in South America"
"No One Does It Better"
The best trip we’ve had in all of South America. We booked the full south ticket and really feel it was money well spent. During our time it was unfortunate that a road closure would cause us to change some of our plans. However Peru Hop dealt with this unforeseen issue with ultimate professionalism and they could not have been more accommodating in what had to be a stressful time for them. 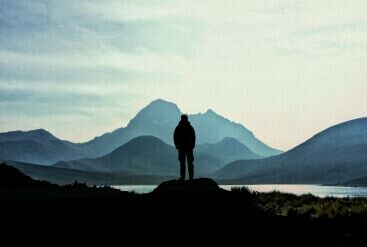 The service itself is so easy and convenient and it ensures you do not miss out on Peru’s highlights and hidden gems. The tour guides were all fabulous and provided us with everything we needed. Shoutout to Natalia, Fio, Maurice and Aldo for making us feel so welcome to Peru. What really stands out is their love and enthusiasm for their country and how grateful they are to tourists for visiting. 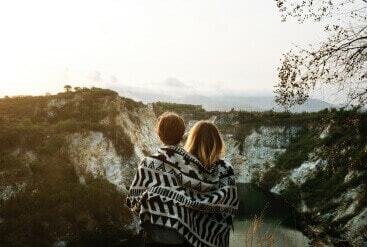 The convenience of having the tour guides help in booking accommodation is a real bonus and eases a lot of stress with travelling. The offering of night buses ensures you have ample opportunity to make the most of your days in Peru. Thanks for the Hopster tshirt also-a nice souvenir! Cannot recommend enough and a must if you are travelling to Peru. Our only wish is that this service was in more countries. 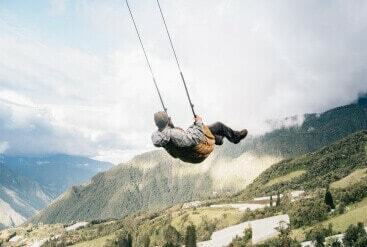 As a solo traveler, this is one of the best experiences I had on my trip. I wish this company was everywhere!!! I had an amazing day trip from Lima to Paracas Islas Ballestas and Huacachina for sandboarding and dune buggy ride. Activities were included, we had English speaking guides, a movie on the way home, bathroom on the bus, time to eat at our locations. I will absolutely use this service again! If only they had Colombia Hop, Chile Hop, Ecuador Hop,etc.! For now, we’ll just settle for the original, the undisputed heavyweight champion of tour bus travel–Peru Hop. You want to make life easy travelling from Lima to Cusco, while stopping in places most people in the world can’t imagine visiting ( Paracas, Huacachina, Nazca, Puno)? Then Peru Hop is your saviour. Oh and don’t forget Arequipa–which to us, took the cake from Lima and Cusco (arguably–Cusco & Lima can be magical). And let’s not forget our favourite tour guide, DIEGO–the man is professional, organize, and super helpful. We were worried at first that it would be a difficult journey riding in a bus, from City to City. But to be honest, it’s so worth it. Most people fly to Lima, and run to Cusco–bypassing the other undiscover cities of Peru. Don’t be a typical tourist, and hop on! 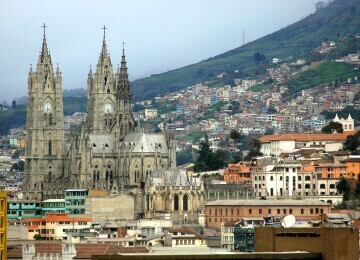 Ecuador Hop bring you to all the must-see places in the country, including the beautiful historical center of Quito. Get from city to city with zero hassle. Stay as long as you want and simply “hop on” to visit the next stop. 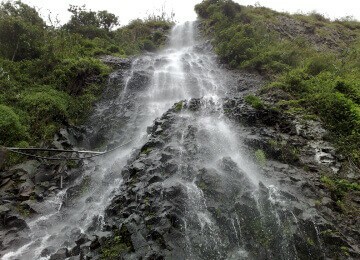 Traveling with Ecuador Hop, you’ll get to experience all of the amazing hidden gems this country has to offer. 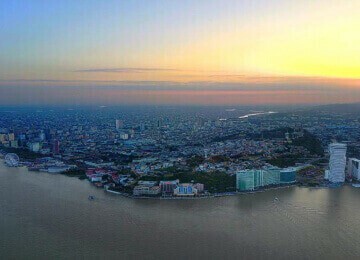 Book extra tours easily with your onboard guide and take advantage of our many exclusive discounts! 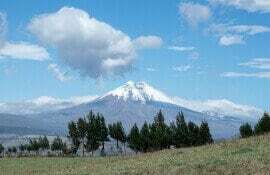 Snow-capped Cotopaxi, the highest active volcano in the world, is a popular destination for adventurers and climbers. 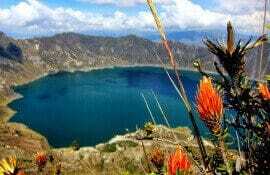 The Quilotoa Lagoon is a water-filled volcanic crater and site of the Quilotoa Loop, a popular trekking route for backpackers. Multiple day trips available from every city in our routes. 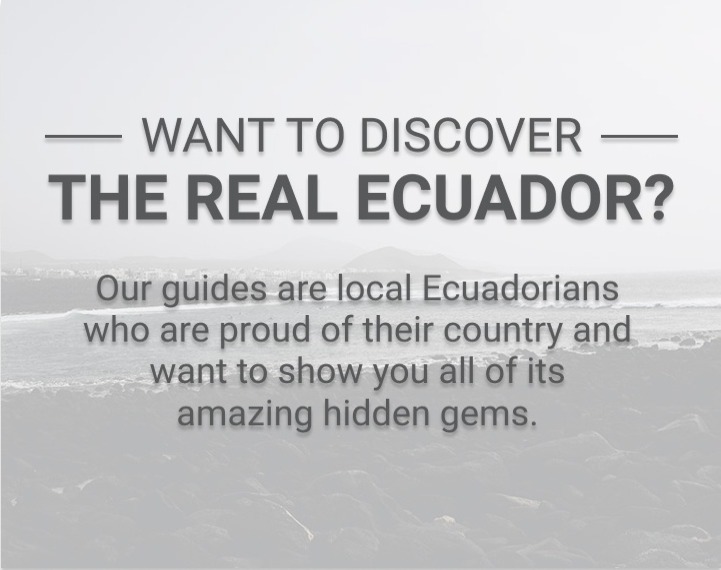 Discover some of the destinations that make Ecuador so incredible! 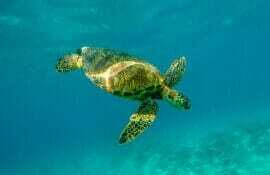 The Galapagos Islands are a must for any nature lover. 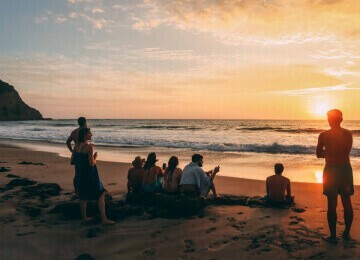 Galapagos trips are easy to add on to any Ecuador Hop itinerary. 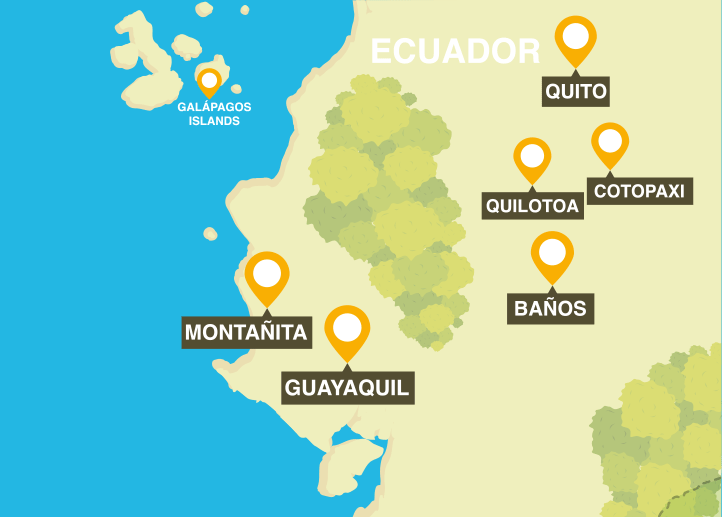 WANT TO KNOW MORE ABOUT ECUADOR HOP? Ecuador Hop is quite simple. Choose a pass based on where you want to go and how much time you have. See our plan, follow it, or hop off. Semi-bed luxury seats, toilet, TVs, GPS tracking and temperature control systems. Award winning buses driven by the most professional drivers in Ecuador. 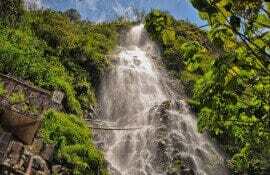 PLAN YOUR ECUADOR ADVENTURE NOW!